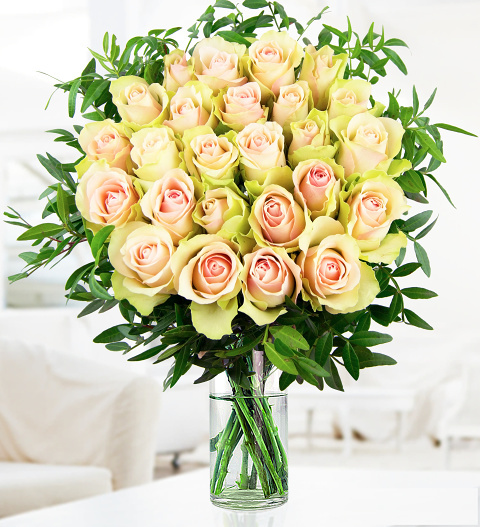 As the name suggest, these stunning roses have been beautifully arranged to make a lasting impression. With a long vase life, these roses blossom to an excellent size with subtle tones of pinks and white revealing natural beauty. The bouquet is complimented with pistacia to ensure an incredible bouquet is received. Absolutely perfect for any occasion, each bouquet is delivered with a delicious box of Valley Chocolates. Chocolates may contain nuts.